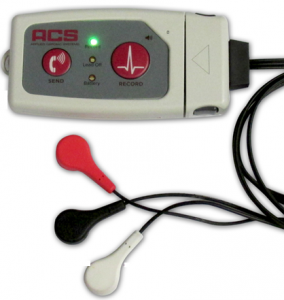 ACS began as an independent Holter recorder manufacture in 1981. For more than 3 decades, ACS has introduced new monitors with increasing quality, reducing size and adapting the technology to suit the Cardiology community. ACS has recently introduced the Performer Plus Holter Monitor, adding to the long list of reliable Holter Monitors. The Performer Plus Monitor from ACS offers several technological benefits to the end user. This new multi-function cardiac monitor offers 3 forms of recording , including traditional Holter, Event Monitoring and long term continuous ECG monitoring (3-5 days). Due to the flexibility in function, the Performer Plus is more versatile with diverse revenue streams. The new ACS Performer Plus Holter Monitor is competitively priced, especially since it is three recorders built into one !